A teenager in Florida is the first person known to be infected with a virus called Keystone virus, which is spread by mosquitoes. There's a new mosquito-borne virus to be wary of — or at least new to those of us who don't study such viruses. The teen visited an urgent care clinic in North Central Florida in August 2016 after he developed a fever and rash, according to a new report of his case, published June 9 in the journal Clinical Infectious Diseases. 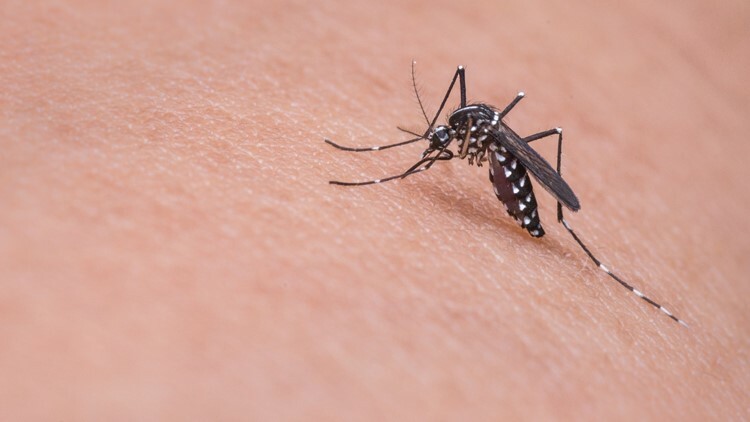 Doctors initially thought the teen might have an infection caused by the Zika virus — after all, his visit occurred in the midst of the Zika epidemic in Florida — but tests for that virus came back negative. But unexpectedly, researchers from the University of Florida (UF) found the Keystone virus in samples from the patient. The researchers say there could be other, undiagnosed cases of this virus. "Although the virus has never previously been found in humans, the infection may actually be fairly common in North Florida," Dr. J. Glenn Morris, director of the UF Emerging Pathogens Institute, said in the statement. "It's one of these instances where if you don't know to look for something, you don't find it." Although the teen's symptoms were mild, it's possible that the Keystone virus may cause more severe symptoms in people, including brain infections. Two relatives of the Keystone virus, the Jamestown Canyon virus and La Crosse encephalitis virus, can cause inflammation of the brain, called encephalitis. The researchers say the discovery of the Keystone virus in a person highlights the need for more research into the prevalence of mosquito-borne diseases in the U.S.